#LLPCHRISTMAS. 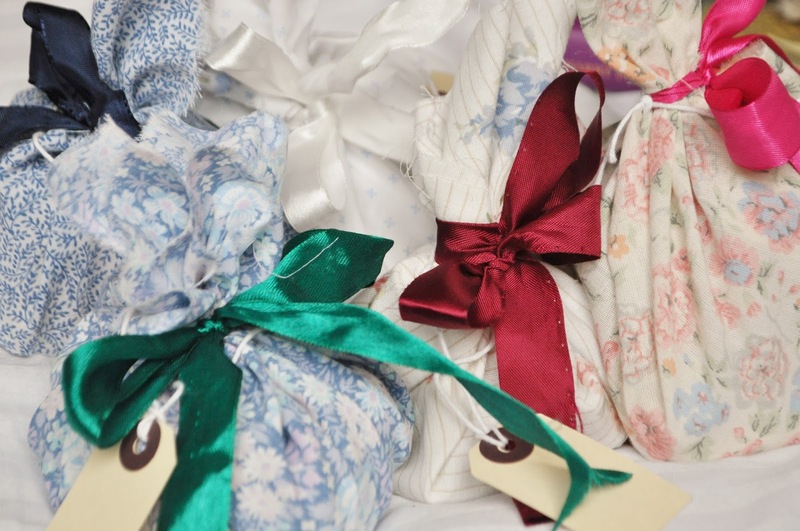 VINTAGE WRAPPING. | Life Looks Perfect. Every year I am the kinda gal that hates Christmas in November and swears that I won't be listening to Last Christmas on repeat or spending hundreds of pounds on silly pointless stocking fillers but by December, that all goes out the window. I end up shopping online and draining my bank account before we have even made to the 10th! This year I lived up to my not so scrooge like tendencies and gone all out. You might have guessed that with the beauty calender I have made Jess, the post is linked HERE if you missed it. I am usually a pretty good shopper, when it comes to presents, as most of my family and friends say that I am always right on the money with guessing what people will love. Yes, I know I should have pursued a career in personal shopping hehe. 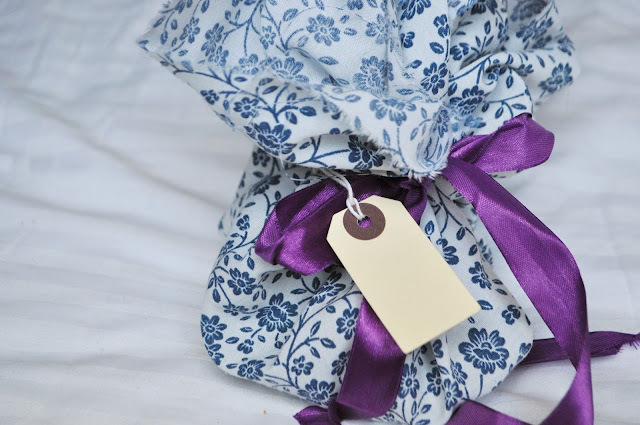 I am also rather creative on how I wrap and present presents, every year I tend to come up with something new. To be honest, wrapping is my favourite part of Christmas. It was something that was always left down to me when my Grammy was around. I would spend a whole two days at her house wrapping her sacks and sacks of bought gifts (she used to spoil us big time), with Jess running back and forth with the gift tags from Grammy to me. For me Christmas has never been the same without that tradition and well without my Grandma. I am not sure if it ever will be, but that's why ever since, I love to spoil my dearest and nearest and make sure I put all the love I can give into every present I buy. 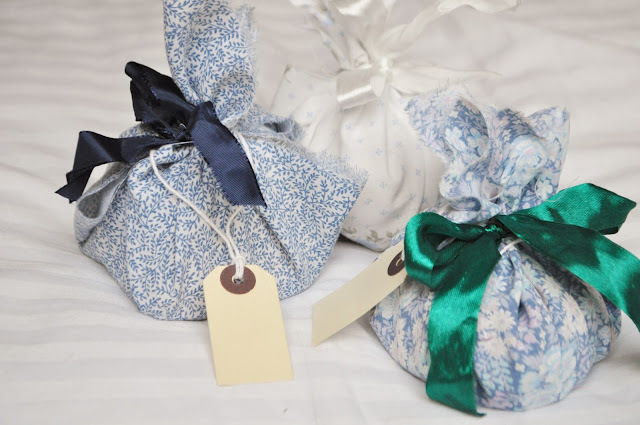 Now that we have the blog to share everything we love, I thought it would be nice to hopefully inspire and share with you a few different ways of presenting your loved ones with your gifts however big or small and you might be able to share with me a few of your wrapping ideas. So lets get to my first idea...this year at work we decided to do a little stocking for each of us, by each spending a maximum of £5 and then all popping the presents into a little stocking. Straight away I knew I wanted to buy everyone a few bits from Lush Cosmetics, as in recent months I have become slightly addicted to that shop and the fact I can buy online has made it even better! 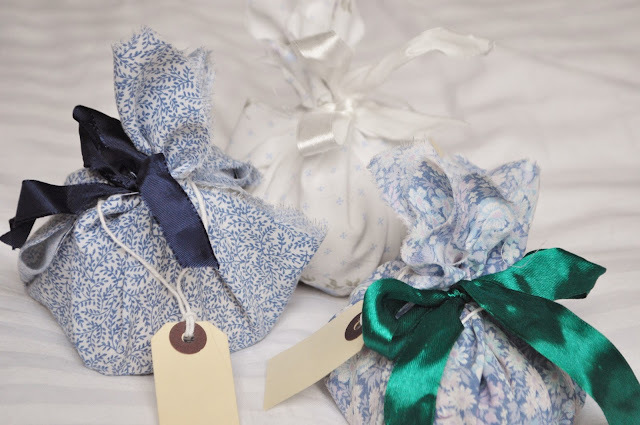 To wrap these little gifts, I rummaged through my crafty box and found some small scraps of Vintage fabric and a few bits of off cut ribbon. If you don't collect vintage fabrics like the saddo, moi, you can use any left over fabric you may have or you can even cut up an old duvet cover. 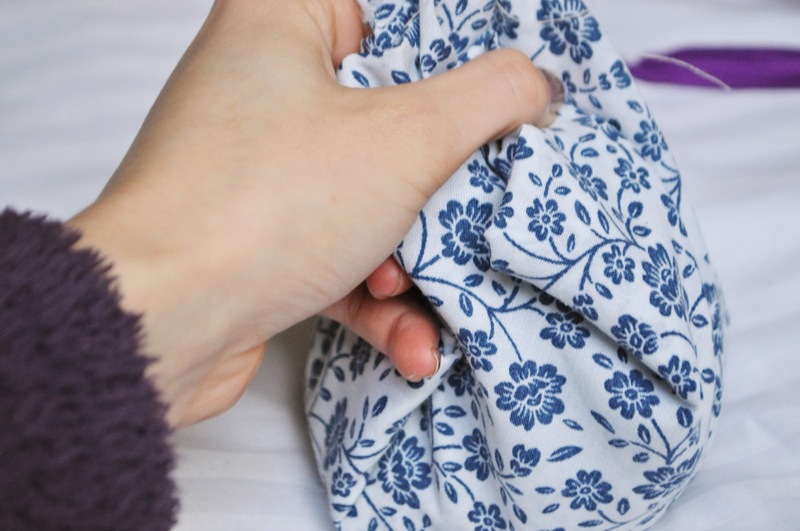 All my fabric leftovers were all different sizes, so I just cut them into a rough square. 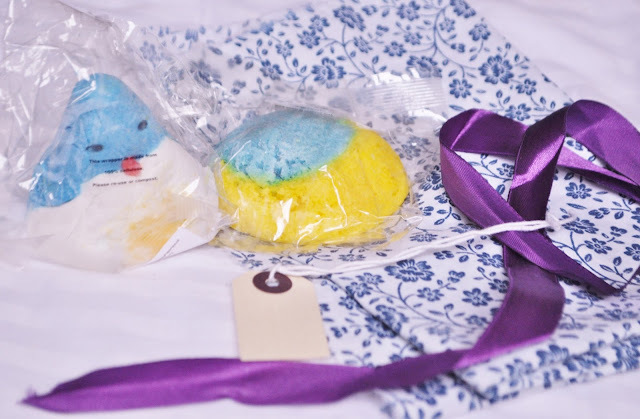 As I was wrapping two Lush products, they were the perfect size to wrap in a little top knot, tied with a small bow at the top. So there you have it. 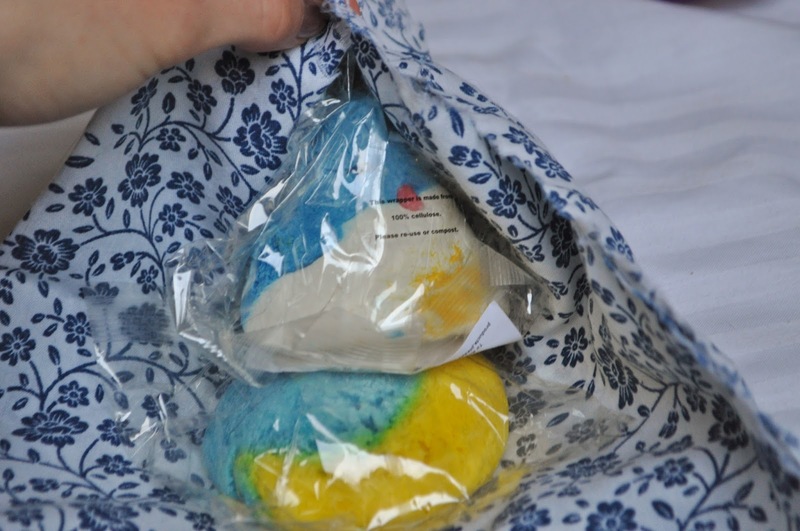 A perfect little home made stocking filler. 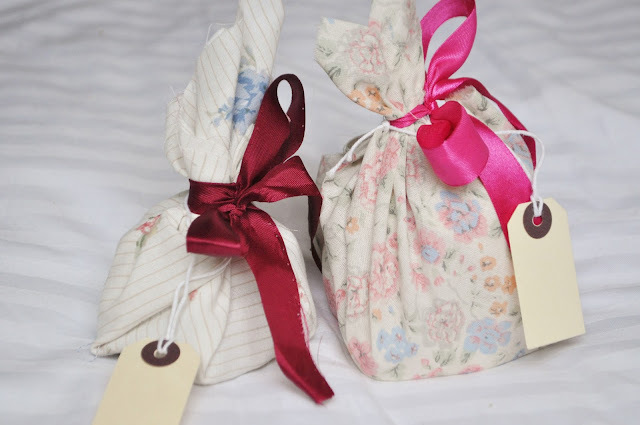 You can fill these little vintage fabric bags with anything you like and of course to the size you want too. I hope I have inspired you to get creative & have a go at make your own homemade wrapping. TAGS BATH AND BODY., CHRISTMAS.